Extend composite RCA left/right analog stereo audio speakers up to 300 feet away from an audio source. 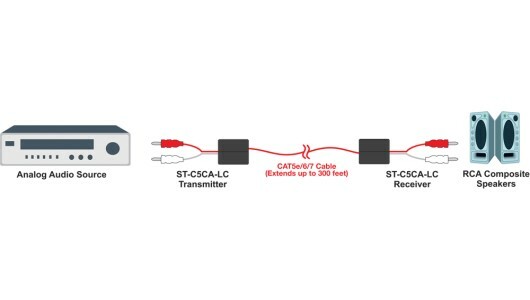 The XTENDEX® RCA L/R Stereo Audio Extender transmits analog stereo audio signals up to 300 feet using single CAT5e/6/7 cable. 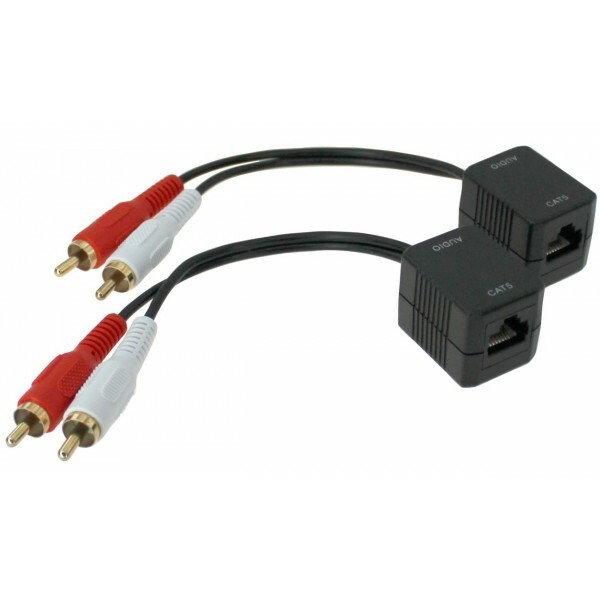 Each extender consists of two interchangeable units that can be connected to a composite RCA left/right analog stereo audio source and RCA stereo audio speakers or receiver. 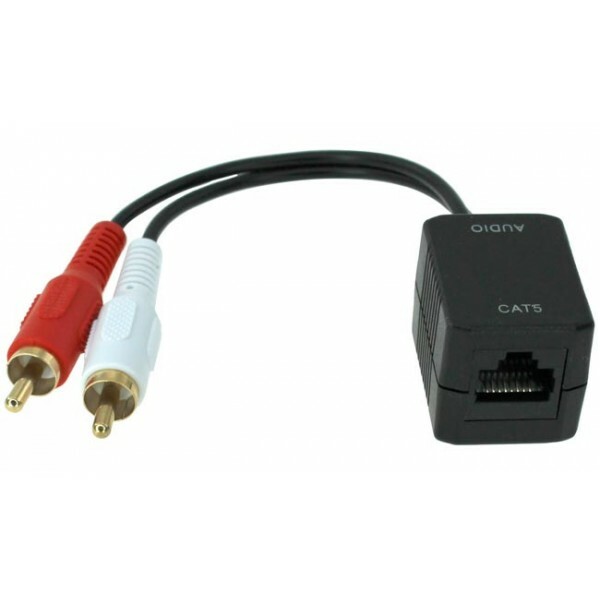 Transmits an analog stereo audio signal over one CAT5/6/7 cable. Transmitter and receiver baluns are interchangeable. Two RCA plugs for connecting to a source or speakers/receiver. One female RJ45 connector for sending/receiving analog stereo audio. Local and remote unit WxDxH: 0.91x1.38x0.44 in (23x35x24 mm) with 4-inch (101-mm) male 3.5mm stereo audio cable attached.